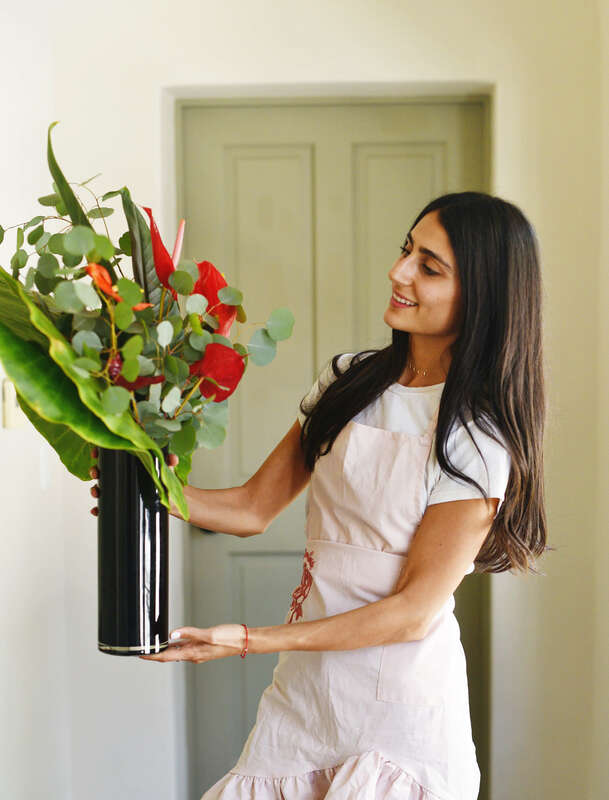 This blossoming LA-based flower enthusiast knows her stuff when it comes to assembling the most stunning bouquets and arrangements I have ever seen! 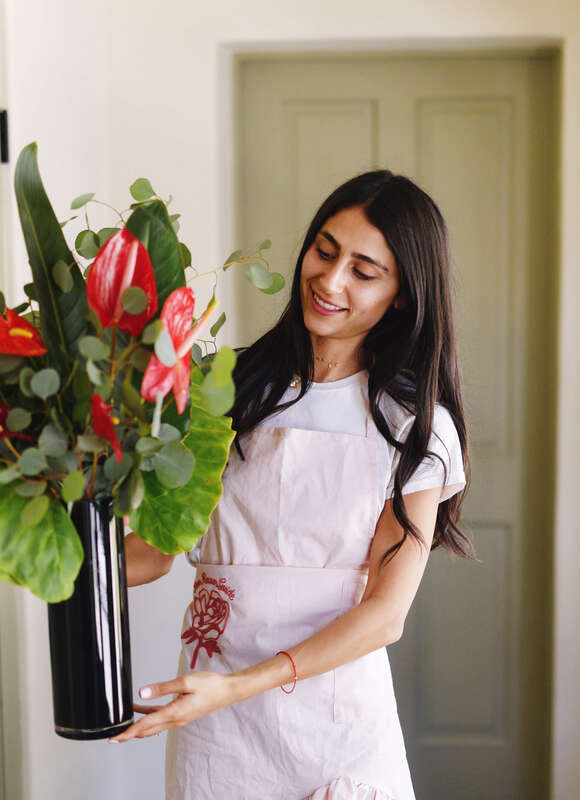 I had the pleasure to talk with Negar Zad about how she got started with her own floral business. With a previous background in marketing, I was curious as to what ‘stemmed’ her change in career path. Melissa: How did you develop a passion for floral design, and how did you get started with your business? Negar: Before I was doing this, I was in marketing. I loved and enjoyed marketing, but it came to a point where it wasn’t cutting it for me. During this time, I was an assistant and part of my job was to go to the flower mart to buy flowers for the office. The flower marts are giant warehouses with many individual vendors selling various flower arrangements, and it blew my mind. It was something that always stayed with me. I started noticing flowers everywhere I went from weddings to TV shows. One day I went to a flower shop to buy flowers and spoke to the manager to ask a few questions about how the process works. A month later I went to the same shop to buy flowers again, and the manager remembered me. 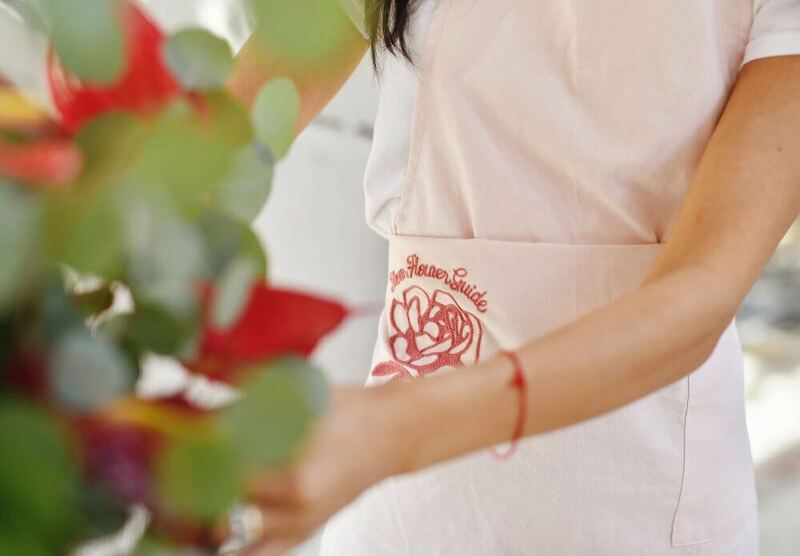 I was stunned and pleasantly surprised, as she then offered me a job where she could teach me the floral business. I felt like it was fate. I worked for them for a few months, and eventually left their establishment and started my brand! Melissa: How did you come up with the name Your Flower Guide? Negar: When I started my company, I wanted it to be a guide for people. I tried to have captions as tips and teach people how to arrange their flowers because that’s what I learned along the way and wished someone told me. There are many small and random details you need to know. Melissa: What were some of those details that stood out? 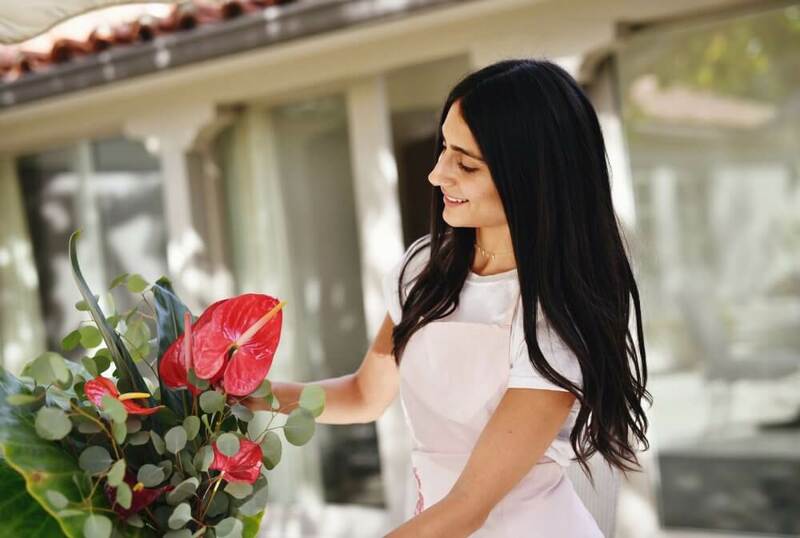 Negar: The details that stood out to me the most was how to take care of flowers properly. It is essential to know what temperature to keep them at, how to water them and how to take leaves off the stems so that they do not touch the water – your flowers will last much longer if you do this. Little things, but important things! Melissa: Since launching your business last year do you have a goal of where you want to be? Negar: I do not have a goal, and I like it this way. I am not chasing after something. I am happy because I am doing something that I love. But what makes me happy and excites me is when I do events and make weekly arrangements for businesses and homes. Melissa: Do you have a team of people or is it only you doing everything? Negar: I have a few freelance people who help during busy times and then someone who helps me in general. This business is my baby and I am still new and learning so I have people who help me. The thing with flowers and this industry is that each week is very different. There will sometimes be weeks of madness – lots of events, and then you will have other weeks where there is not a lot going on. Melissa: Do you have a favorite flower that you love working with? Or a flower that you never knew about? 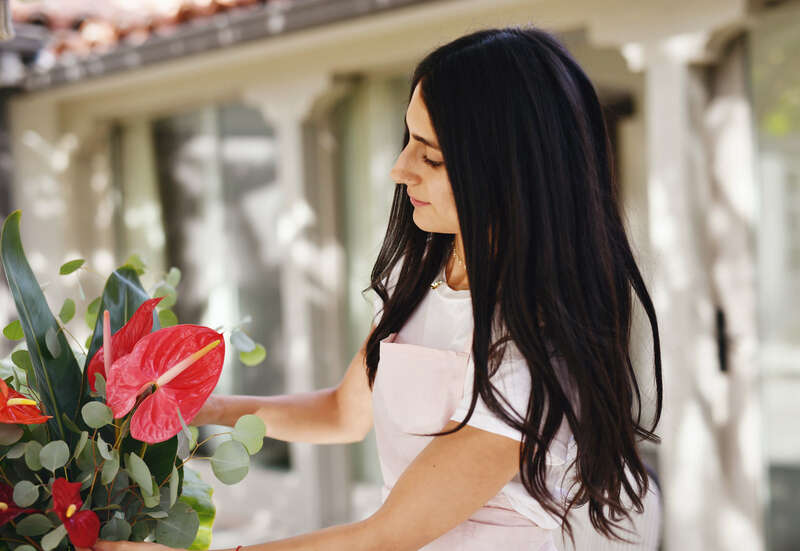 Negar: Lately, I have been obsessed with anthuriums. In general, I like working with Hydrangeas – especially learning that there are different types. Some are exotic, some have a variety of colors, and they can all come from all different countries. 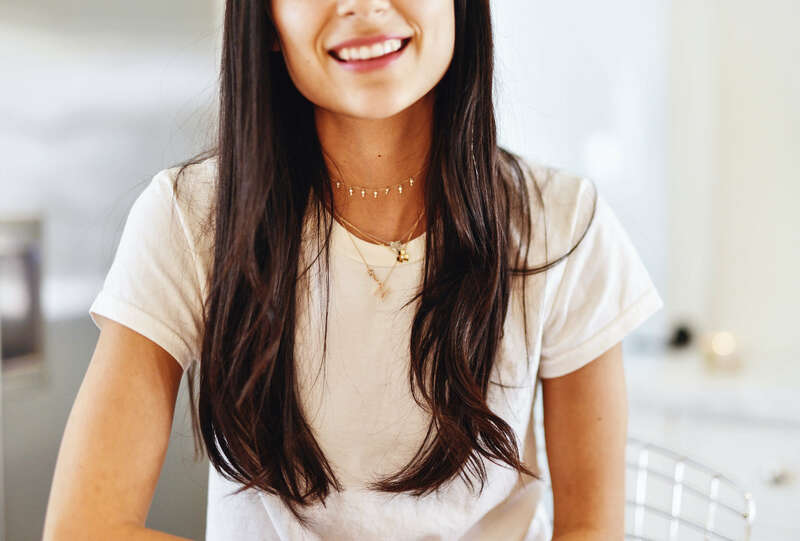 Melissa: Do you want to open a stand-alone shop, or do you want to keep Your Flower Guide running through Instagram and website orders? Negar: I do not want a shop – I loved my shop that I had, it accomplished everything I wanted it to. But it is not the direction I am going – like I said, I am doing this for events and businesses. It is a lot of work to have an up and running flower shop. Flowers die, and when you do not use all the flowers it is the saddest thing… what do you do with them? 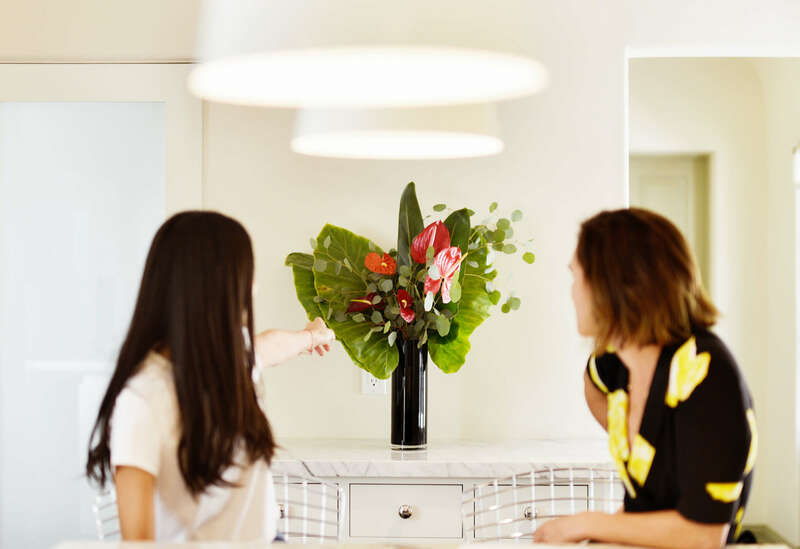 Melissa: Do you have a favorite flower arrangement or a signature one that is your look? Or does it change with what is happening? Negar: I have two looks. One is a well-groomed and medium-sized arrangement that rounds out beautifully. This arrangement is a perfect gift or centerpiece. My second look is an artfully inspired arrangement which I like to do for businesses or a large one to put in your kitchen. Melissa: What is your go-to accessory? A – When you are working? Or B – Just in your life? 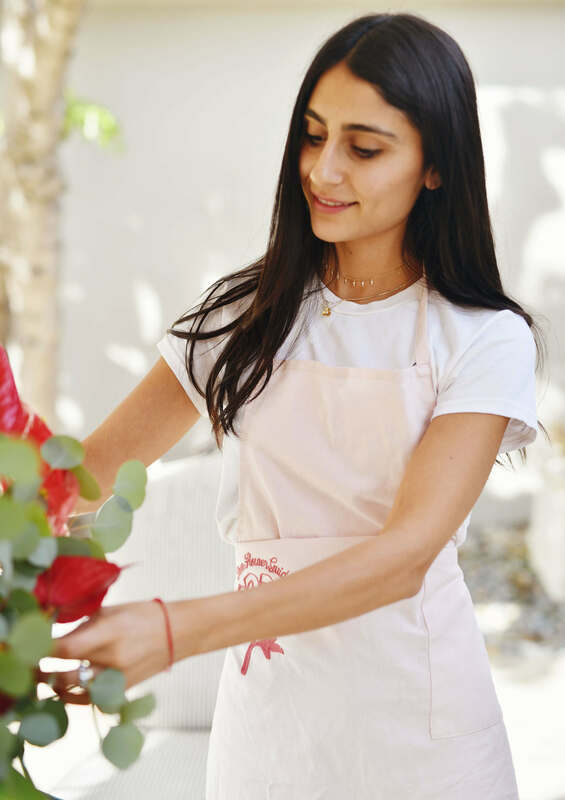 Negar: When I am working I would definitely have to say my clippers, my apron which I got as a gift, and anything else that has my logo on it. Melissa: What do you like to wear? How do you describe your style? Negar: My style is cute-comfortable. What I am wearing right now – jeans, comfortable sneakers and cropped tops. I love cropped tops. I would say comfortable but still stylish. Melissa: If we were to raid your closet, what is the accessory you have the most of? Negar: I think handbags. I actually love purses – it is a problem. Melissa: Does fashion ever influence you or inspire your arrangements? Negar: In a sense, yes. Fashion in the sense of what is trending and color tones that are in style and in season. 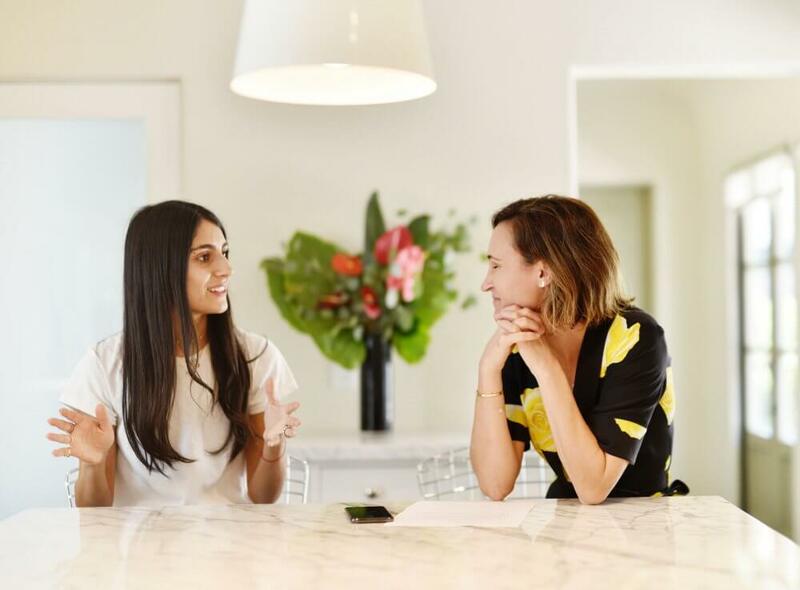 Melissa: Do you have any advice for young entrepreneurs starting their business? Negar: Don’t be so hard on yourself because I am and so many people are their own biggest critics. There will be moments where you want to give up or you may feel like a failure, but you have to push through and remind yourself why you are doing. Always remember to have fun with it.